Most relationship problems are essentially trust issues, explains psychotherapist David Richo. 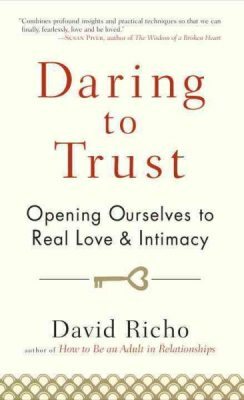 Whether it’s fear of commitment, insecurity, jealousy, or a tendency to be controlling, the real obstacle is a fundamental lack of trust—both in ourselves and in our partner. Ultimately, Richo explains, we must develop trust in four directions: toward ourselves, toward others, toward life as it is, and toward a higher power or spiritual path. These four types of trust are not only the basis of healthy relationships, they are also the foundation of emotional well-being and freedom from fear.